Worship and Picnic in the Park! 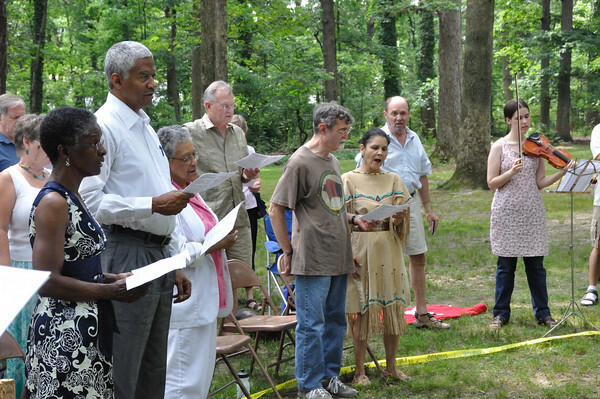 Joint service with Hyattsville Mennonite Church at 11 a.m.
Bring a blanket or lawn chairs, a dish to share at the picnic, and any games or recreation equipment you’d like to try. We’ll be at Fletcher’s Park #2, Tanglewood Drive, Riverdale. To get there from the church, turn right (south) on Rt. 1. Turn left onto 410 (East-West Hwy.) Turn right at the light on Taylor Rd, then left onto Riverdale Rd. Just after crossing the river, turn right onto Tanglewood. The pavilion is on the left.